I am so, so excited for the holidays to begin! There is just something so sparkly and special about this time of year. 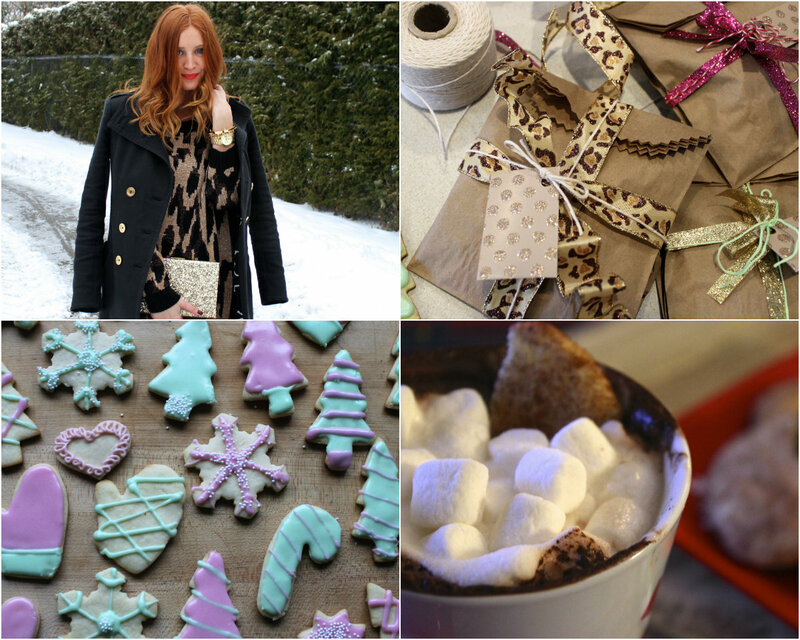 To kickstart the craze I thought I would recap some of my favourite holiday themed posts on P&P. Feeling Festive- Still one of my favourite sweater dresses. Gold and red is the perfect colour combo. Packaging Baked Goods- Move away from the cellophane wrap and twist ties this year. Brown paper bags and some fancy ribbon make the perfect gift bags for baked goods. Sugar Cookies and Royal Icing- My aunt's tried and true recipe. These are a holiday staple, and for this year I'll be designating a cookie decorating table at my girls holiday party. Top Holiday Movies- I plan on diving straight to the couch and into this list this weekend! But I'll be saving Home Alone until a week or so before Christmas Day! Hope this gets you in the spirit! I'd love to know if you have any pre-holiday traditions or rituals?